In 1918, American jewelry designers Clifford Furst and Joseph Bobley opened their own jewellery company “Castlecliff”. 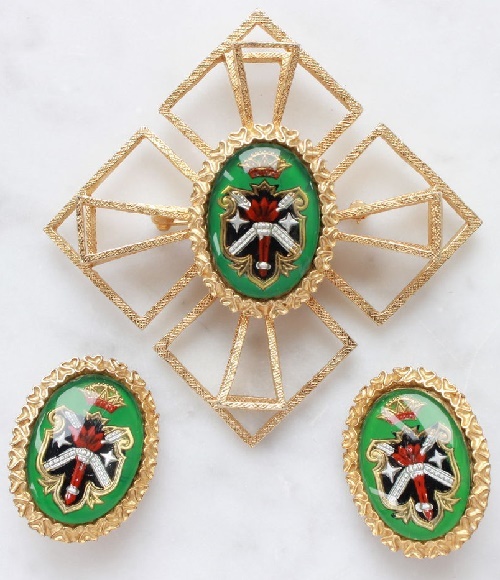 Initially, they both worked for other companies, but in 1941, launched Castlecliff jewelry brand, and in 1945 released the first collection of beautiful costume jewellery. The main designer was William Markle, whose imagination allowed him to create in all styles, from the Gothic, Renaissance and Art – Deco, before the three-dimensional and moving, trembling butterflies, flowers and animals. 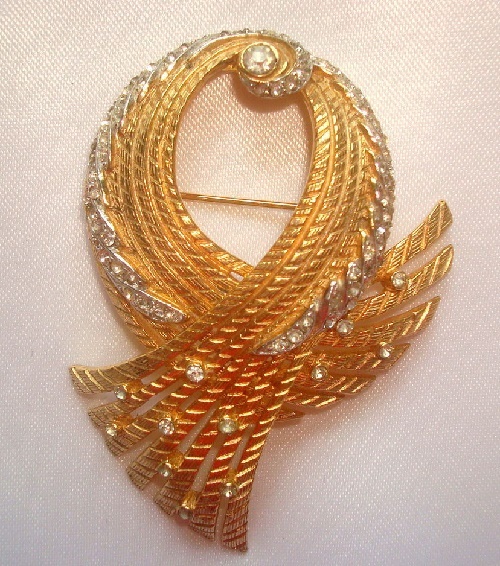 Castlecliff vintage jewellery has always been famous for exquisite and colorful decorations, rich decorative trim. 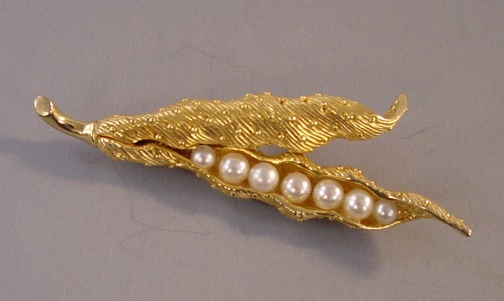 The company worked with a lot of silver and almost always applied the gilding and silvering jewelry. They began put their Castlecliff marking on their products in 1941. The company ceased to exist in in 1977. Castlecliff Jewellery is highly valued by collectors. 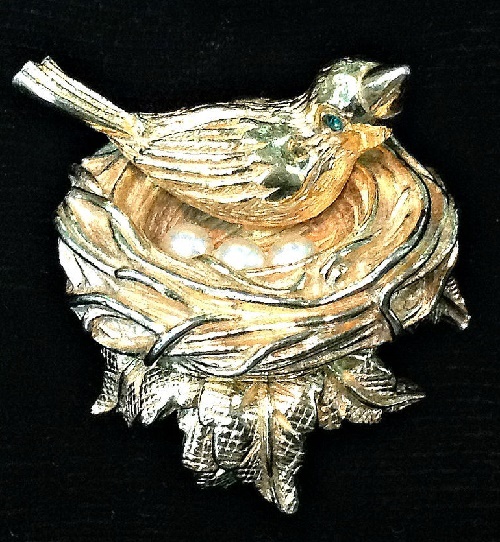 Excellent knowledge of art, history, traditions and jewelry techniques allowed Castlecliff company designers create unique premium decorations. Of great importance in this case were many years of experience accumulated by the company during the years of its existence. The company achieved its heyday in 1970-1972 – the period of cooperation with the brilliant Larry Vrba, who created a few incomparable collections for Castlecliff. Sophisticated exquisite combination of stones and crystals of different colors creates the effect of presence of diamonds of pure water – a characteristic feature of all Castlecliff decorations. Fine gold tone jewelry alloys, used by Castlecliff jewelers are always beautiful and noble. 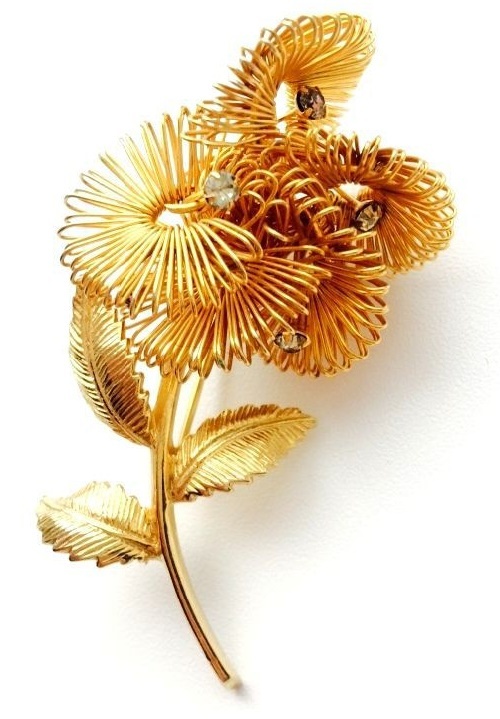 Aristocratic, beautiful lines, the use of open-work techniques, and finally, selection of delicate crystals cause delight and admiration of fans and collectors of antique and vintage jewelry. The markings were – «Castlemark», in 1957 – «Cassandra», after 1955 without mark, or with the copyright symbol Castlecliff”, “Anne Klein for Castlecliff” in 1977. In 1977, unable to withstand the competition and the new economic conditions, the company has ceased to exist. 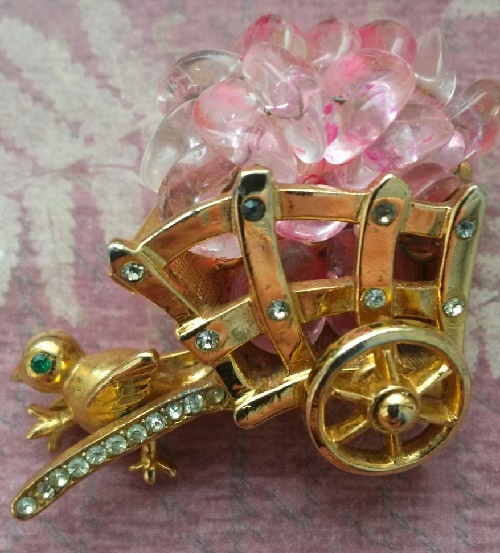 But many collectors of antique and vintage costume jewelry do not forget the stunning Castlecliff decorations. 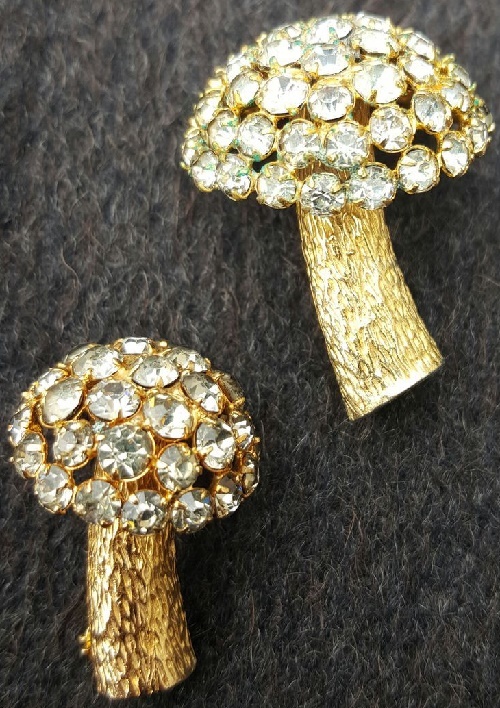 In addition, the quality of Castlecliff creations was so high that even the decorations made more than 50 years ago, preserved in a spectacular collector’s condition, which is highly valued in the market of antique and vintage jewelry. In 1980 the company was re-opened and handed to Lucien Piccard Industries-Pierre Cardin. Currently, the company produces jewelry under the label “Castlecliff Jewelry Div. of Lucien Piccard”. 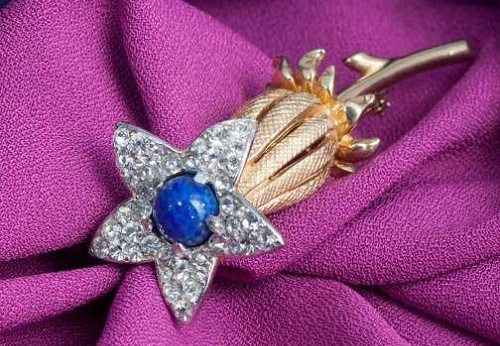 Vintage brooch Blue Tulip in a graceful flower bud demonstrates expressive forms, lines, beauty and magnificently crafted texture. A complex combination of glossy and matte surfaces of the stem and bud creates a delightful play of light and shadow. Drop-down petals inlaid with lots of sparkling crystals, surrounded by rounded cabochon of bright cornflower color. 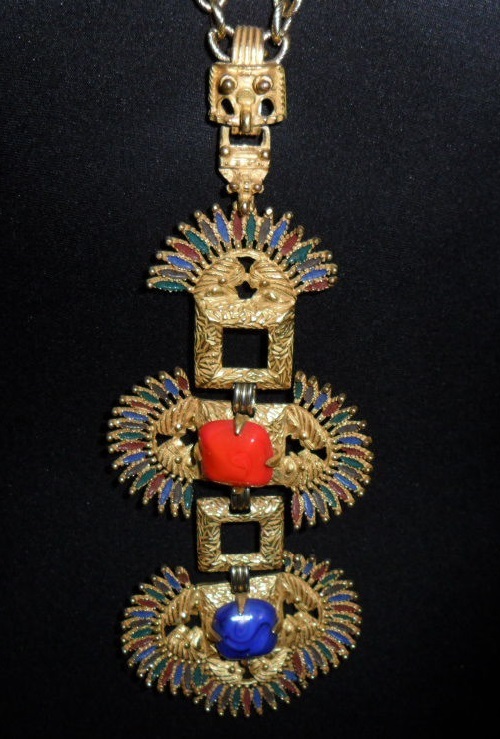 Symbolic red and blue necklace made of metal the color of old gold, a little darkened by time, decorated with colored enamels. 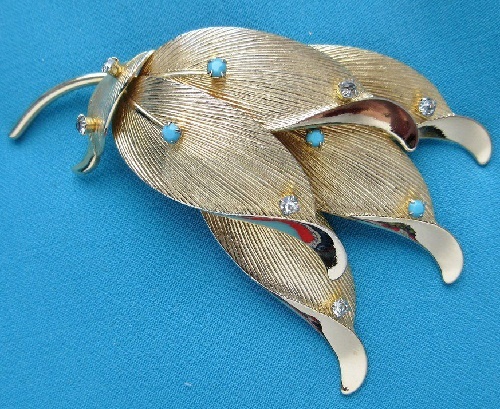 Noteworthy, the design of this necklace was developed in the early 1970s by cult designer Larry Vrba (Lawrence Vrba). He made sketches of the whole collection of Indian jewelry on the basis of exhibited in the museums of America real cult objects of pre-Columbian era. All items of this collection resemble museum pieces, so they are detailed and carefully executed. This necklace consists of 3 brooches, coupled with thick brushed square links. In the middle of each brooch – cabochon of glass art, which imitates natural semi-precious stones that the Indians still insert in their national ornaments. Blue stone sodalite, stone of “third eye”, develops intuition and red stone – coral, strengthens the gift of foresight. Stones inserted into the box, depict two Indian chiefs touching with noses – a sign of welcome and reconciliation among these people. Exactly leaders, since such high feather headdress could be worn only by representatives of the supreme god of the Indian pantheon of gods – feathered serpent Quetzalcoatl. Apparently, the inspiration for Lawrence Vrba served some heavy expensive jewelry of Aztec chief or priest with magic symbols.